NEW BUILD ranch home in New Palestine on 5 acres WITH full basement! 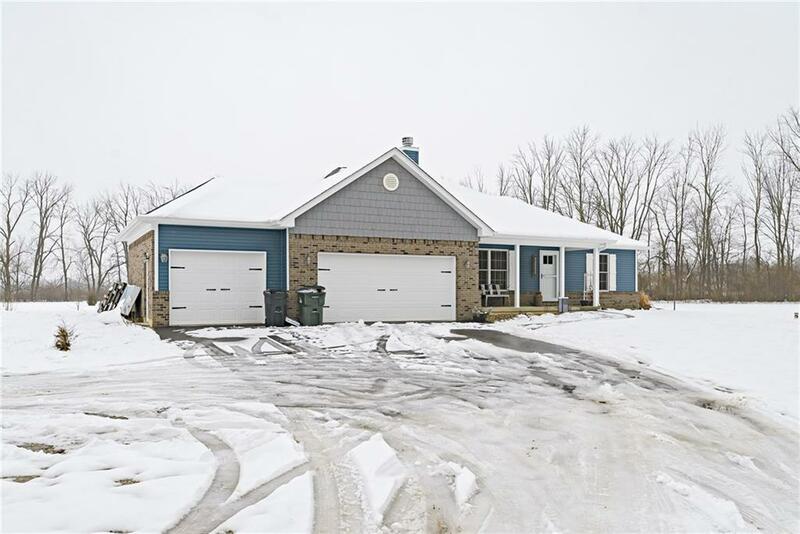 This home was custom built by the amish in 2017 and features 5 bedrooms and 3 full baths. You will love the open concept floor plan with butcher block countertops, wood burning fireplace, and vaulted ceilings. Entertain your guests on the large back patio overlooking the property. Spacious 3 car garage for all of your storage needs. No details were missed in the customization of this home. Within minutes of interstates, schools, and much more. This one will not last long!